JyYK aims at taking the environment and social justice into consideration in all aspects of its activity. The actions of the association are assimilated non-stop to match its environmental objectives with a focus on continuous improvement. The main objective of the association is to communicate on issues related to sustainable development. In its own function, JyYK strives for minimizing its environmental output and promoting social justice. This is done through setting goals, monitoring the fulfillment of these goals as well as setting new goals when needed in order to comprehensively improve the environmentally friendly function of the association. Each board member of JyYK is responsible for the accomplishment of the objectives. The environmental coordinator coordinates, evaluates and monitors the objectives in practice. To increase the service of environmentally friendly food in JyYK’s events including favouring local food and organic products as well as offering vegan options. Our goal for 2018 is to serve 100% vegetarian food, of which at least over half is vegan. To recycle all the waste produced in the events of JyYK properly. The goal for 2018 is 100%. To avoid consuming plastic as much as possible. To encourage the board members to avoid buying plastic shopping bags and instead favoring reusable bags for fruits and vegetables and choose the least packed product available. The board members will not buy plastic bags for JyYK’s events in 2018. To encourage the board members to make more environmentally friendly choices in their everyday life. The board will agree to follow the Commitment 2050 -goals that board of 2017 enrolled. The board members will write their personal goals in the commitment. 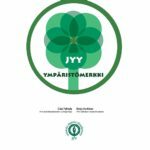 JyYK participates annually in the environment contest organized by the Student Union of the University of Jyväskylä. 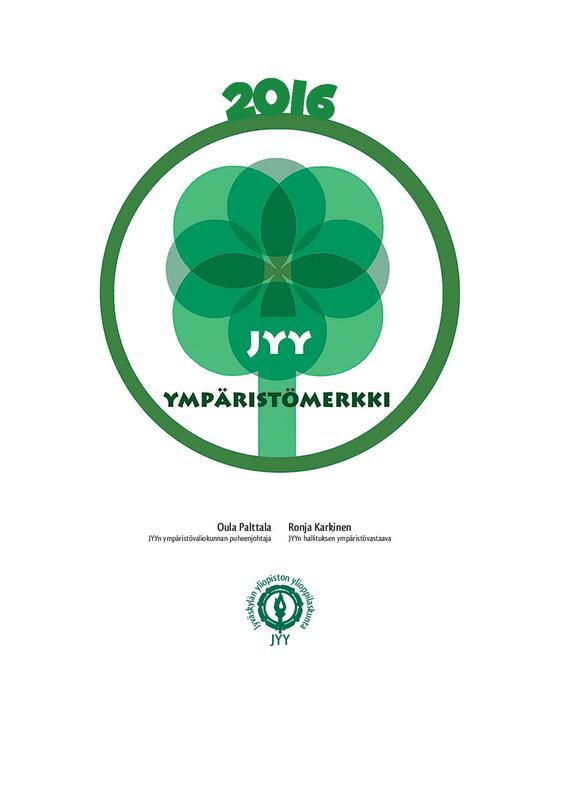 For that, JyYK has an eco-label granted by the Student Union (image). If You want to take part in JyYK’s action and the aspect of sustainable development in specific, do not hesitate to contact our environmental coordinator!